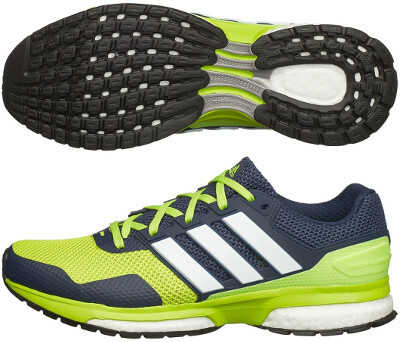 Adidas Response Boost 2 are neutral cushioned running shoes. The Adidas Response Boost 2 brings Boost™ experience to low budget running shoe. Combined in the midsole with traditional EVA, the hype material from the german brand features a more responsive and smoother ride. Major change from its predecessor the Response Boost takes place in the upper with with knit-inspired breathable mesh and moulded 3-Stripes synthetic piece (similar to the one present on Supernova Sequence Boost 8) for enhanced midfoot fit. Adidas also offers an edition with TechFit® upper for for flexible support and a seamless, sock-like fit. The Response Boost 2 keeps what was working fine: TORSION® system for midfoot integrity, smoother transition and decoupled heel for enhanced shock absorption. As a summary, great value for money.